If your Gateway laptop comes across any of the symptoms listed above or it is more than 18 months old, then it is time for your notebook computer to have a check up, particularly in terms of its picture perfection, video quality and audio precision. The graphic card features tend to cause temperature fluxes and results in an array of disturbing issues over the time, thereby hindering you from enjoying your preferred games, songs and videos. There are also instances in which GPU problems occur as a result of incompatibility of operating system or inappropriate installation of drivers. We hence initially diagnose your laptop computer to find out the root cause of your computer’s video card or graphics problems and then suggest Gateway ATI graphics repair options such as Ball Grid Array (BGA) reballing or reflow which include a 90 day back to base warranty. At Creative IT, we also specialise in prompt and secure laptop graphics card or graphics processing unit (GPU) replacement services, with a comprehensive range of graphic cards and graphic processors in our stock. 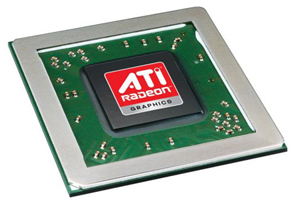 Interested in knowing more about our quick and exceptional London Gateway ATI graphics repair or Gateway laptop graphics processing unit (GPU) replacement services? 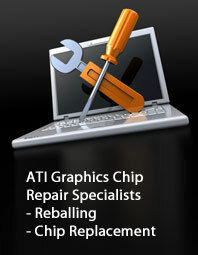 Just email us at info@atigraphiccardrepair.com or pick up your telephone and dial 020 7064 4999 to speak to one of our highly experienced laptop video card and graphics card repair technicians. For further information on our London Gateway ATI graphics repair and replacement services, you can also visit us in person at our repair facility at 80 Willow Walk, The Willows, Unit 1, London SE1 5SY.